This knife was made specifically to help advertise a Knife show in Idaho. 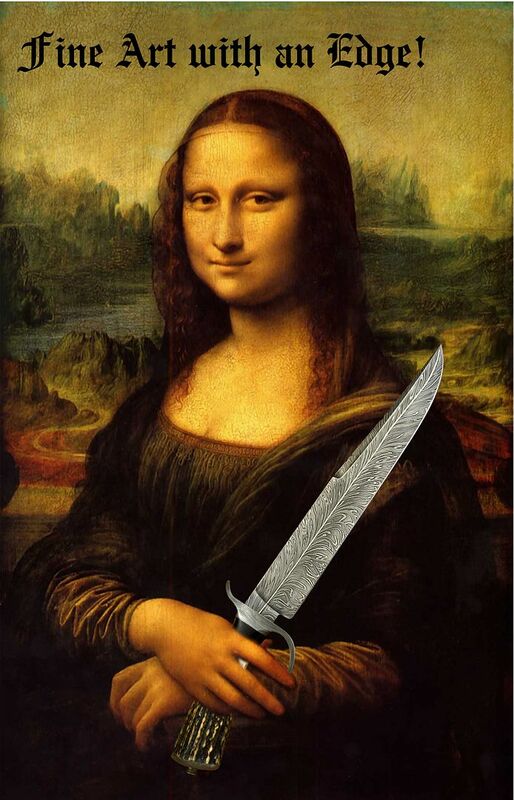 It was photo shopped into the picture of the Mona Lisa. 12.5″ Blade of 1095,1070 and 15n20. Pure nickle vein to create the quill of the feather. 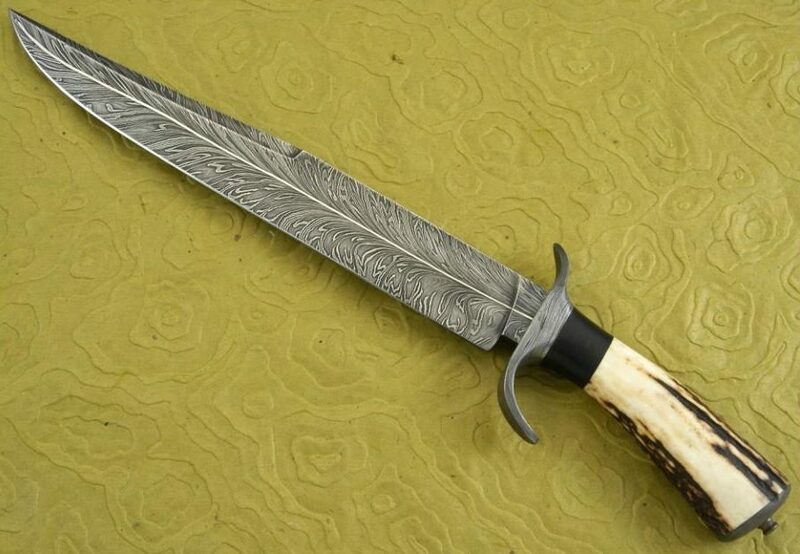 Wrought iron S guard, Blackwood spacer to Premium Sanbar stag handle. The damascus pommel and turned finial cap it of nicely.